Dr. Donna McCormack (Lecturer in English Literature) speaks about organising an interdisciplinary workshop and doctoral course on the medical humanities and its global, postcolonial and gender contexts. This event was supported by seed funding from the University of Bergen, Norway, and was organised in collaboration universities across the UK, South Africa, Norway and Sweden. 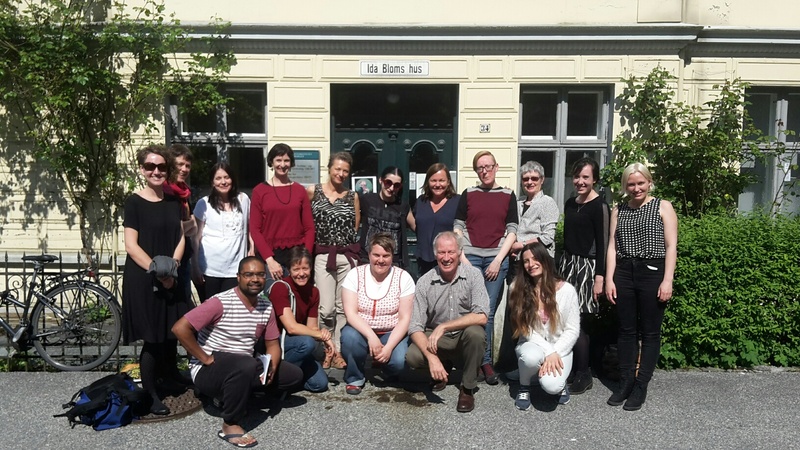 It was hosted by the Centre for Women’s and Gender Research at the University of Bergen. I recently organised an event that focused on the postcolonial and gender aspects of the medical humanities and that had the specific aim of bringing together partners from the Global South and the Global North. 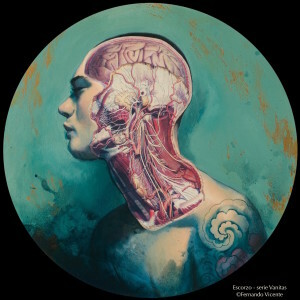 The goal was to discuss the medical humanities in its global context, addressing issues such as justice in health, the role of historical and contemporary inequalities in health and illness, the dominant role of narrative in health care, and the role of the arts in care. The event was divided into two parts: a closed workshop, consisting only of invited speakers, with a very specific aim of sharing research interests and spending considerable time thinking through and planning future projects and events; the second part was a doctoral course where specialists in the field led sessions and engaged with the diverse research of doctoral participants. This four-day event included partners from South Africa (University of Witswaterand and University of Cape Town), the UK (University of Surrey, University of Glasgow and University of Leeds), Norway (University of Bergen) and Sweden (University of Linköping). 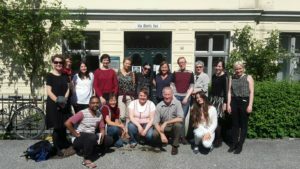 The doctoral participants came from a diverse range of institutions, including South Africa, the UK, Brazil, Norway, Sweden, Poland, Georgia, Iceland and Spain. The topics all focused on embodiment, taking multiple disciplinary and interdisciplinary perspectives. There was a significant focus on organ transplants with the nephrologist June Fabian, from the University of Witswaterand, engaging us in the ethical decisions transplant teams must make, while reminding us of the class and race assumptions in decision making; Margrit Shildrick, professor of gender and knowledge production at Linköping University, took us into the philosophical arena of micro-chimerism asking if we are all already more than self and other and therefore challenging biomedical practitioners to rethink the machine model of organ transplantation; and I spoke on fictional representations of transplantation, addressing the consequences of not knowing the origin of the donated organ and exploring what it means to have no or little history in postcolonial contexts of transplantation. Multiple participants addressed the role of music in health care and as a methodology of study with Steve Reid, the head of general practice at the University of Cape Town, taking us through a personal history of rural health care in the north east of South Africa, grappling with the race politics of medicine and the centrality of music to resistance; and Jill Halstead, ethno-musicologist at Grieg Academy at the University of Bergen, asking how we may use our bodies to produce, communicate and understand knowledge and how feminism can remain at the fore of this pursuit. Indeed, many challenged us to think through our methodologies with attention to embodiment and the politics and ethics of queer and feminism, including Ingrid Young, a sociologist from the University of Glasgow, who addressed treatment as prevention and imperative to manage bodies, risk and responsibility. Even as I try to capture what was discussed, it is impossible to account for the diversity of the themes and conversations, or for the emerging intersections of research interests and methodologies. Indeed this summary does not capture the plethora of doctoral presentations from across medicine, social sciences and the arts and humanities, which focused on an extremely wide range of methodologies and subjects. Some themes included: abortion in Ethiopia; psychoanalysis and the medical humanities; gendered representations of women in anatomical books; disability and trauma in postcolonial fiction; the importance of non-coherence in representations of mental health; the role of the doctor and patient relationship in general medicine; intersex in South Africa; addiction in Iceland; and more. All these doctoral projects were addressing how it is possible to work across medicine and the humanities, while still being firmly situated in one of these disciplines; and asking what is that is gained when engaging in such dialogues. Indeed, what many showed is that this conversation is essential in trying to grapple with the experience of health and illness in the contemporary context. Does a body need to be objectified and distanced to be operated on and what would it mean to always see the body as human and intimate? What is social justice in the context of medical care? What does it mean to be a self and an other? And what if we are intimately tied to others, even on the cellular level? Is narrative central to medicine? And how can literary innovation help understand the experience of health and illness? How can medicine and the arts work together without the arts being subsumed into a tool of empathy? Researchers across the humanities, arts, medicine and social sciences; medical practitioners; artists; and many whose work crosses the boundaries of the so-called researcher/artist/practitioner divide came together to explore the potential for a project that addresses the global, postcolonial and gender contexts of the medical humanities. The generosity of time and a willingness to listen and engage even when we could not always understand each other or our work helped make this an exciting event. What I witnessed was a group of people committed to and enacting interdisciplinarity through and across national boundaries, trying to think through justice across disciplinary differences, and looking towards the potentiality of how we might take forward the difficult but exciting intersections of the medical humanities and its global, gender and postcolonial contexts. Thank you Donna for this rich and inspiring blog on the workshop you organised last month in Norway. The issues and ideas with which you conclude this post are at the centre of our thoughts too. A final and hearty “Thank you” to all concerned for welcoming the team from South Africa.